CHARLOTTE, N.C. — Instead of trying to be "the next George Steinbrenner," George Steinbrenner IV is trying to be "the next Roger Penske." He's part of baseball royalty, the grandson of late New York Yankees owner George Steinbrenner, and a slam-dunk applicant for a cushy job in one of the most storied franchises in all of sports. His path instead took a left turn to Indianapolis in pursuit of a career in racing. "I love baseball, I love racing, and if I wasn't doing one I would be doing the other," Steinbrenner, 22, said in an interview with The Associated Press. Steinbrenner IV, just 22 years old, is the youngest owner of an IndyCar team and on Sunday became the newest member of the winner's club. 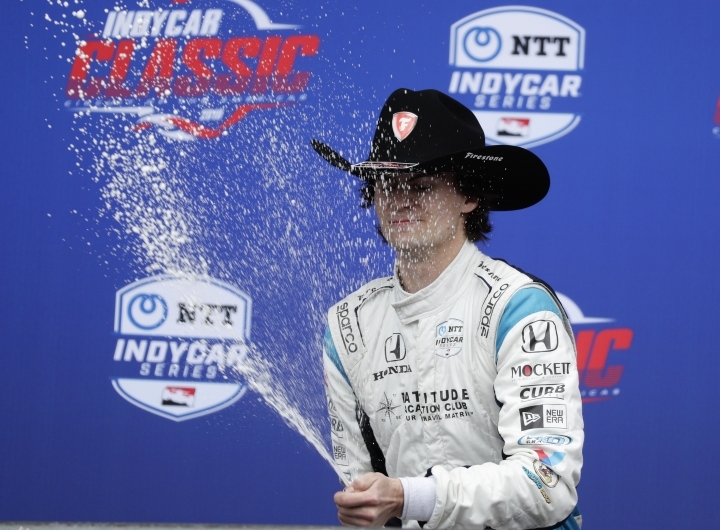 Colton Herta, who turns 19 later this week, snatched victory at Circuit of The America's in Austin, Texas, to become the youngest winner in IndyCar Series history. The duo will celebrate the win with the COTA trophy Thursday on Opening Day at Yankee Stadium. Neither envisioned a celebration so soon in this new endeavor and early success for the young Harding Steinbrenner Racing team — in business only 19 months, strengthened by Steinbrenner just last September — is inexplicable. The win came in just the second race of the IndyCar Season. The journey began when Mike Harding, CEO of an Indianapolis-based asphalt and concrete company, in 2017 started a team that had almost no chance of winning the handful of races it entered. Harding had no racing background yet still went ahead with a full-time program last season, under the direction of longtime IndyCar executive Brian Barnhart, but the team was simply not a legitimate contender. Enter Steinbrenner, the heir to a legacy organization. He had decided to veer off the family course and pave his own way outside of baseball because Steinbrenner had fallen in love with racing as a youngster even though his generation idolized Derek Jeter, Mariano Rivera and the Yankee lore. Steinbrenner IV admired Penske, Michael Andretti and Chip Ganassi. Rich kids bit by the racing bug usually spend a ton of their parents' money trying to race cars; Steinbrenner wanted to run a team. "Growing up in my family, the business-side of things is what I was exposed to the most often," Steinbrenner said. His father, Hank, is co-chairman of the Yankees. "I looked up to Roger Penske, people who personify excellence. Team ownership was always the route that most interested me because an athlete's career span is only so long. Team ownership gives me the opportunity to make a long career out of this." Steinbrenner's love of racing comes from his mother's side of the family. The late Tony Renna, Steinbrenner's favorite driver as a child, was a close family friend. Championship-winning Ganassi engineer Chris Simmons is his uncle, and Steinbrenner IV's stepfather Sean Jones has had various roles in racing including a partnership on a Rallycross team with Herta's father, Bryan. Steinbrenner and Colton Herta first met in 2012, and Steinbrenner's first job in racing was basically as a gopher around Herta's father's race shop. But he was watching and learning, graduating into bigger roles and after one unfulfilling semester at Stetson University, Florida native Steinbrenner dedicated himself to IndyCar. He relocated to Indianapolis, teamed with Andretti Autosport in 2017 on an Indy Lights program — IndyCar's version of minor league baseball — and ran Herta in the car. Herta won six races over two years and earned a promotion to the big leagues. Steinbrenner moved up with him because Harding was willing to take on a partner, and the team had built-in institutional knowledge with Barnhart and Al Unser Jr. that can only help Steinbrenner's on-the-job training. 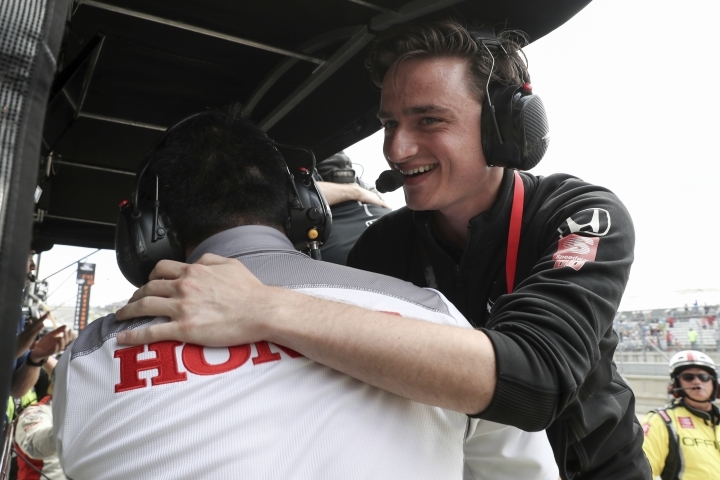 The team this season also partnered with Andretti for technology assistance and has been the talk of the paddock for its speed and Herta's steadiness since it unloaded its first car during February testing. 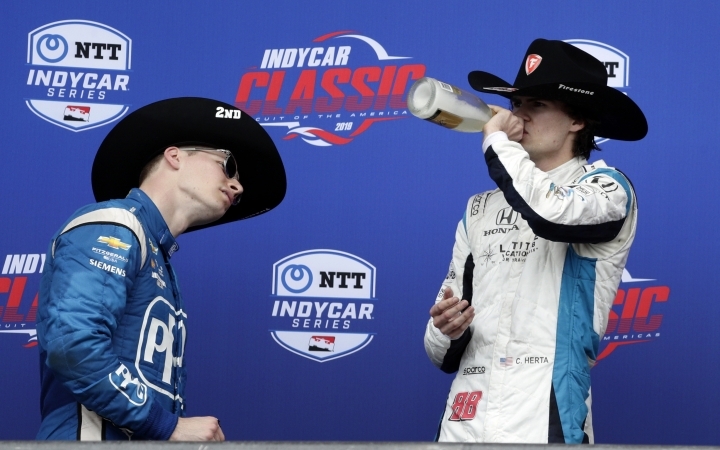 Herta, on the cusp of becoming IndyCar's next American star, had no hesitation advancing his career with a tiny unproven team now co-owned by a guy Herta first met when he was 12. "You can see how determined he gets and how knowledgeable he is, he's very humble and eager to learn and he picks up on things very quickly," Herta told AP. "I had a lot of confidence that even though maybe he didn't know a bunch about team ownership in the beginning, he knows a lot now and he's learning more every day on the business-side of things. He knows how to schmooze people, is learning how to put a quick car on track and he surrounds himself with really good people." Motorsports struggles to attract new team owners, and those who do take the financial leap find it takes years to find any sort of consistency let alone success. It's not the job many 22-year-olds are chasing, but one Steinbrenner has pursued with a desire to someday become the new "Boss" of the IndyCar paddock. "IndyCar fans seem to love the involvement because they want to see new faces and they want to see younger people in the sport," Steinbrenner said. "But I know it is a long road and I am here to learn, not try to make myself look a fool, and I know my age and I know my place and I know when to listen."